I always like my sweaters with a bit of pizazz so I go for bold colors, fun prints and cute embellishments. A sweater with a cute little pup or a taxi decal’d on the front beats a plain sweater any day of the week for me! And with the chilly weather here to stay, I’ve been making it a sort of uniform for me to pull out a colorful sweater and a pair of jeans or pants to match as my everyday look for work so that means I need A LOT of sweaters. 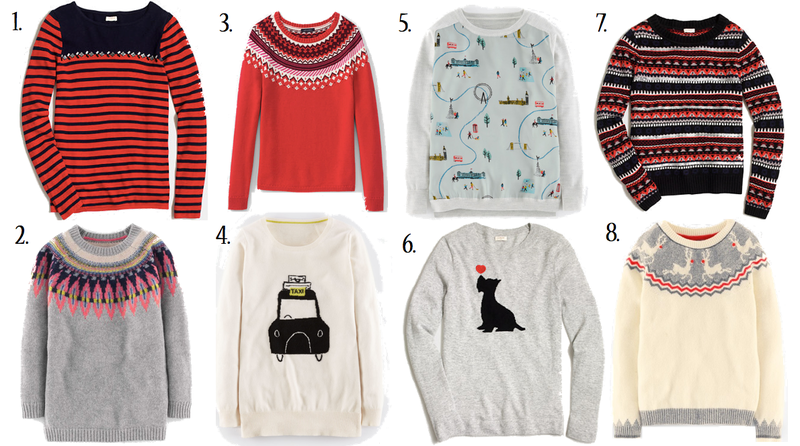 Check out some of my sweater favorites from this year below. Where do you go to shop for your favorite sweaters? I need all of these! I wish it got colder where I live in Florida! YESSS to sweaters. I'm so happy it's sweater season again!!! Number 6 and 8 are my favorites. I love sweaters and can't wait to get more soon.